Facebook 10th anniversary: I told my roommate it'd be dumb to work there. 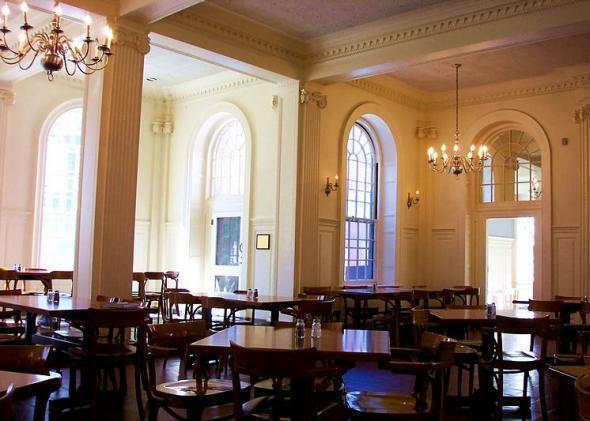 The Kirkland House dining hall, where I started blogging and Mark Zuckerberg also started a website. I believe it was my friend Nicole Cliffe of the Toast who introduced me via Gchat to the website then known quaintly as The Facebook. I was in my first year working in Washington, D.C., and she was still an undergrad and thus closer to the epicenter of the nascent social networking revolution. I tried it out and immediately reached the conclusion that the whole thing was a dumb idea. Taking the various house facebooks (physical books with little capsule photos of all a dorm’s residents) and turning them into a single digital facebook accessible to all students was a perfectly plausible idea. But The Facebook wasn’t a digital facebook at all! It was just Friendster, except only for people with Harvard.edu email addresses. Insofar as Friendster was a moderately useful tool, the idea of The Facebook wasn’t terrible per se, just derivative and unnecessary. Why not just use Friendster? At any rate, Mark Zuckerberg lived in Kirkland House, where I had lived before graduating. And one of my roommates, a computer science major, who had taken a year off—he lived in Kirkland too—once mentioned to me the idea of going to work on The Facebook as a job. I told him that was a terrible idea—everyone out of college was using Friendster already, and surely college kids would just go use it too. The short moral of the story is that you should never take my advice unless it’s about how to board a train at Penn Station. At any rate, I wasn’t impressed with Facebook when it first launched and I’ve never really been a fan. Not, I think, because I’m some huge curmudgeon. I love Twitter. I love Instagram. * I’ve kind of drifted away from Tumblr due to professional obligations, but it’s had its moments. I’ve even gone off-demographic and enjoyed a bit of Pinterest. But when Facebook was a Friendster clone it struck me as derivative. And when it started adding features, it struck me as confusing. Who wants a single website to be a photo-sharing site and a gaming site and a repository of contact information and an event-planner and everything else? The answer, evidently, is that many many many millions of people want just that. *Correction, Feb. 4, 2014: A previous version of this post misspelled the name of the social network Instagram.